The U.S. National Highway Traffic Safety Administration (NHTSA) recommends a simple step bikers can take to improve their safety on the road: checking and maintaining proper tire pressure. Proper tire pressure puts the right amount of tire in contact with the road, improving your ability to control the motorcycle, especially in emergency situations. 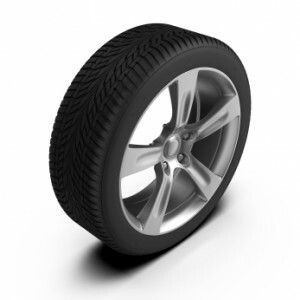 Tire pressure is typically measured in pounds per square inch, or PSI. The appropriate PSI for your motorcycle is typically listed in the bike’s manual. Some manufacturers also print or stamp the recommended PSI somewhere on the bike’s frame, so the information is always available. Check your motorcycle’s swing arm, front fork tubes, or underside of the seat – these are common locations for the PSI rating. You’ll need to change your PSI if you’re carrying a passenger or a heavy load of gear. For most bikes, increasing PSI by 3 or 4 pounds per square inch is necessary if your load – passengers, cargo, or both – increases by a certain amount. Your bike’s manual usually provides information about your particular motorcycle’s needs. Check your tire pressure at least once a week, or check it every time you ride for best results. At Tenn And Tenn, P.A., our New Hampshire motorcycle crash attorneys also ride. If you’ve been injured in a motorcycle accident, please don’t hesitate to contact us to learn more about your legal rights and options. Our number is (603) 624-3700, and your initial telephone consultation is both free and confidential.